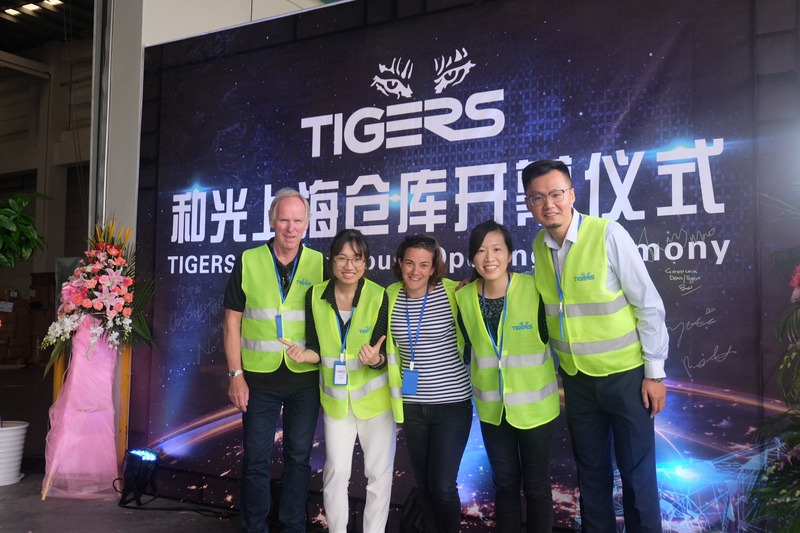 Supply chain specialist Tigers has relocated to a new facility in Shanghai, China, which contains two warehouses to ensure the company overcomes space restraints from its previous operation and meets growing customer demand. The new facility, which is located close to Shanghai Yangshan Port, has a dual warehouse model, which will allow Tigers to offer scalable solutions to B2B and B2C customers alike across domestic and international markets. “Our improved warehouse layout at the new facility has afforded us an increase of 34% in pallet spaces, equivalent to 4000 pallets, and a floor space increase of 50%,” said Laura Crow, Managing Director, China, Tigers. As the company’s e-commerce operations continue to develop in the region, the new warehouse will ensure the products remain fit for purpose. The new 3,779 square metres facility comes equipped with 10-meter high racks and a mezzanine shelving system, offering sea and air freight consolidation and export, global omni-channel fulfilment, China domestic distribution, as well as a variety of value added services. The Tigers Shanghai facility will be working across a range of industries, such as domestic distribution of spare parts for the automotive and lighting industry, apparel export to retailers in Australia and the European Union and Tmall domestic fulfilment.